Miscellaneous Gold CDs Shop MyMusicFix!! 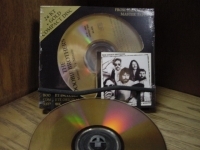 "Doobie Brothers, Minute by Minute"
DOOBIE BROTHERS - MINUTE BY MINUTE Factory Sealed 24-Karat Gold CD by Audio Fidelity Produced by one of the original owners of DCC and Mastered by the legendary Steve Hoffman in HDCD. 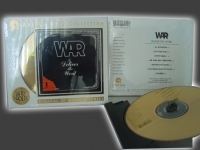 These CDs are HDCD encoded and will play on all CD players. LIMITED GOLD EDITION. This 24-Karat Gold Limited Edition FACTORY SEALED CD is an audiophile collector's item that simply gives the feeling of being directly in the studio with the artist. This recording is mastered from the Original Session Tapes and the disc is custom pressed using 24-Karat Gold (known for its superior qualities and resistance to oxidation). This is a 24 Karat Gold bonafide collectible disc has all Liner Notes, Photos, and Artwork from the Original LP faithfully recreated. The Doobie Brothers: Patrick Simmons (vocals, guitar); Michael McDonald (vocals, keyboards, synthesizer); Jeffrey Porter (guitar); Tiran Porter (bass, background vocals); Keith Knudsen (drums, background vocals); John Hartman (drums).Additional personnel: Herb Pedersen (banjo); Byron Berline (fiddle); Norton Buffalo (harmonica); Andrew Love (saxophone); Ben Cauley (trumpet); Lester Abrams (electric piano); Bill Payne (synthesizer); Bobby LaKind (congas background vocals); Tom Johnston, Nicolette Larson, Rosemary Butler (background vocals). The Doobie's biggest commercial success coincided with Michael McDonald's emergence as the leader of the band. His brilliant brand of sophisticated, keyboard-driven pop soul, as exemplified by the title track and the huge hit "What a Fool Believes," was instantly identifiable and almost impossible to resist. There are tracks here that look back to the Doobie's earlier days as a biker boogie band, in particular "Don't Stop to Watch the Wheels," and "Steamer Lane Breakdown," a country song reminiscent of the Byrds' "Nashville West." But the sound here is mostly McDonald's. Track listing 1. Here To Love You 2. What A Fool Believes 3. Minute By Minute 4. Dependin' On You 5. Don't Stop To Watch The Wheels 6. Open Your Eyes 7. Sweet Feelin' 8. Steamer Lane Breakdown 9. You Never Change 10. How Do The Fools Survive? 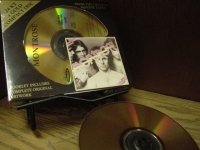 "Montrose - 24 Karat Gold CD"